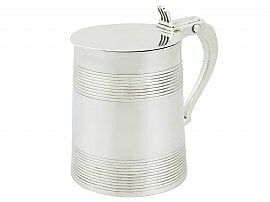 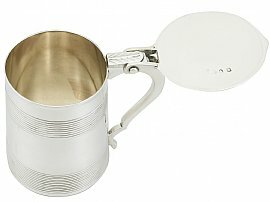 This exceptional antique George III sterling silver lady's tankard has a cylindrical tapering form. 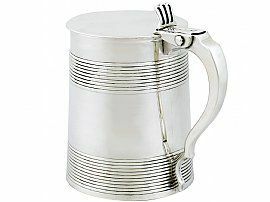 The body of this solid silver tankard is encircled with two impressive broad bands of tooled decoration. 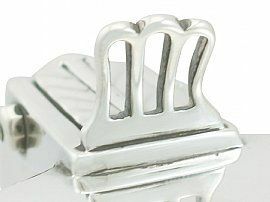 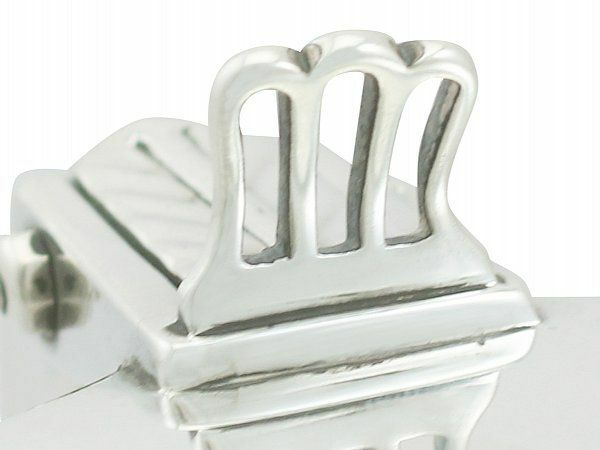 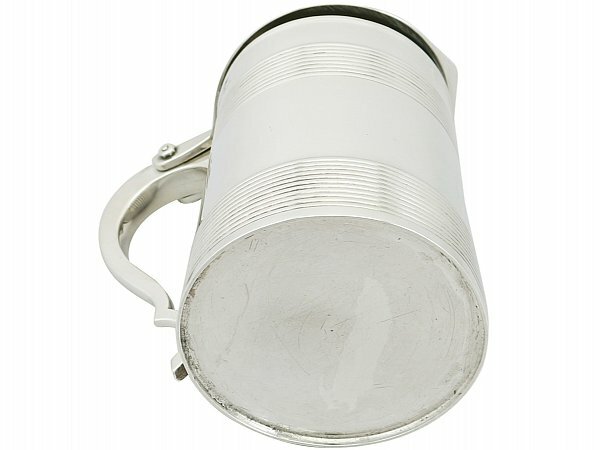 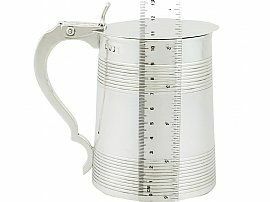 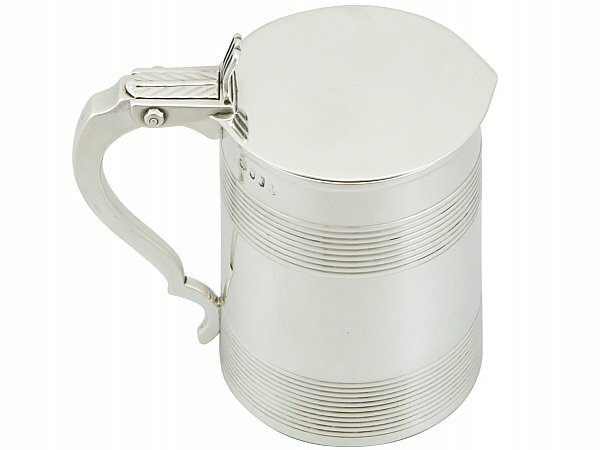 The antique silver tankard retains the original hallmarked flat hinged cover encircled with further bands of tooled decoration; this unusual flanking hinge is an impressive example of engineering for the period and indicates the high quality of the piece. 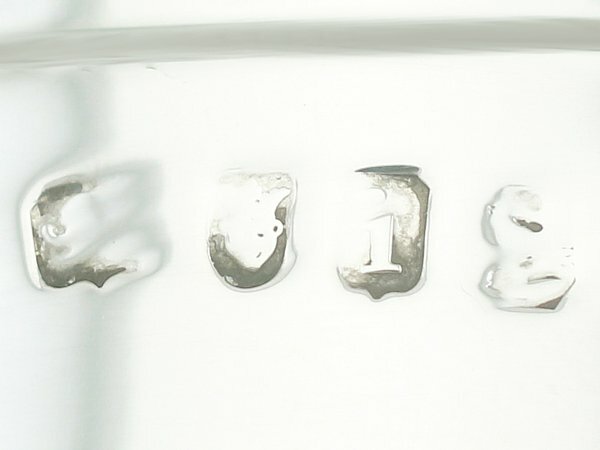 The cover is surmounted with an impressive tri-lobed thumbpiece, in addition to the protruding fingerpiece to the anterior edge. 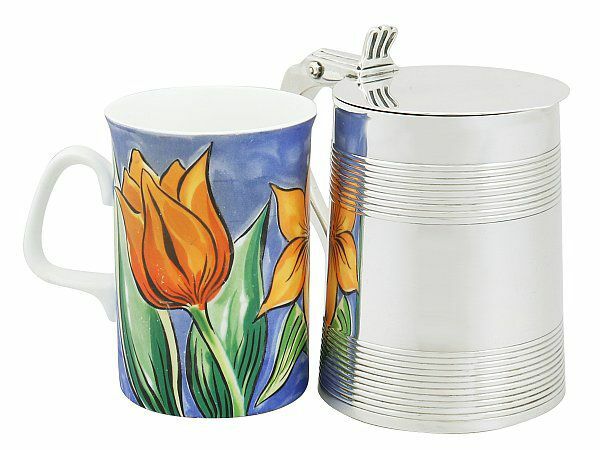 This Georgian sterling silver tankard is fitted with an impressive plain faceted opposing scroll handle with an incurved thumbpiece and applied leaf design to the upper plateau. This solid silver tankard is an exceptional gauge of silver, exceptional quality and in exceptional condition in keeping with age. 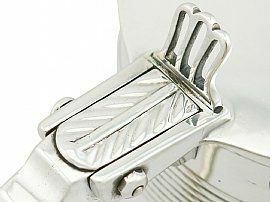 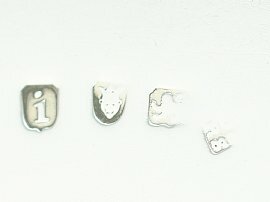 Full hallmarks struck to the surface of the body and to the interior of the cover have wear in keeping with age and location. Length from back of handle to rim 13.1cm/5.2"